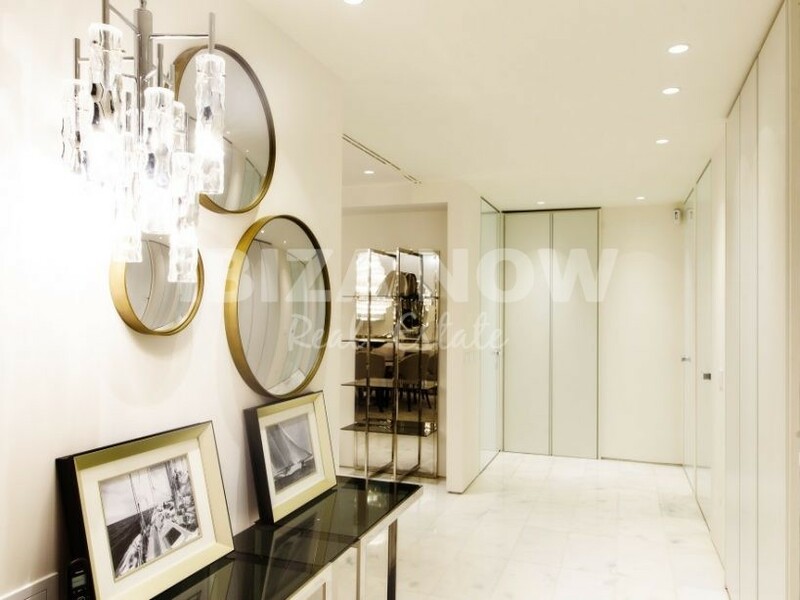 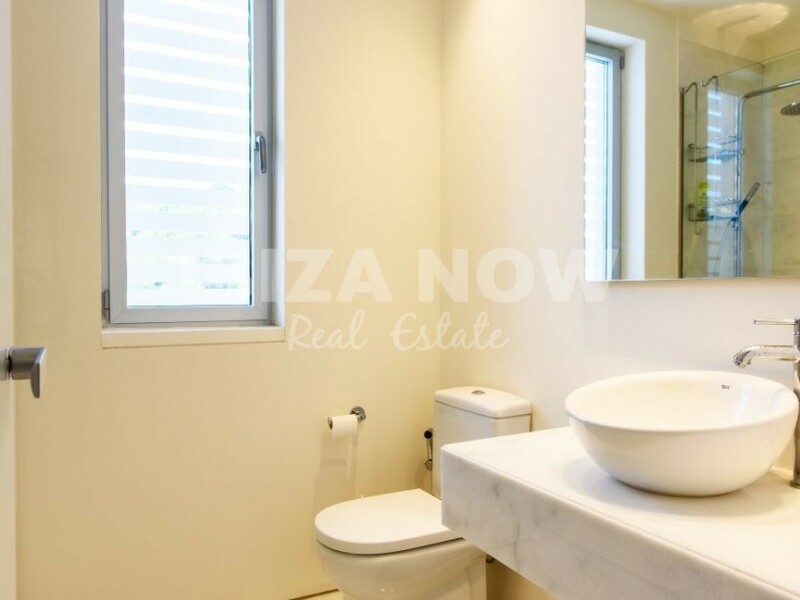 This beautiful large 4 bedroom apartment is located in the private urbanization of Es Pouet. 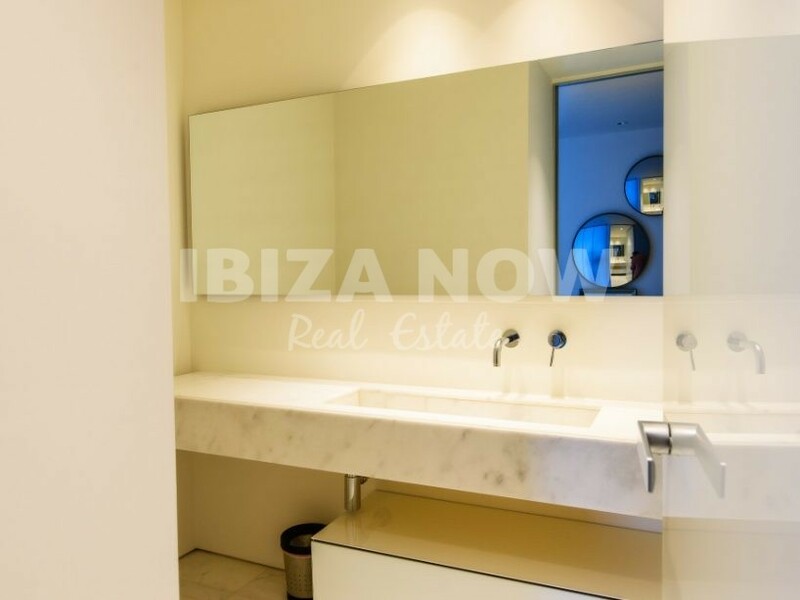 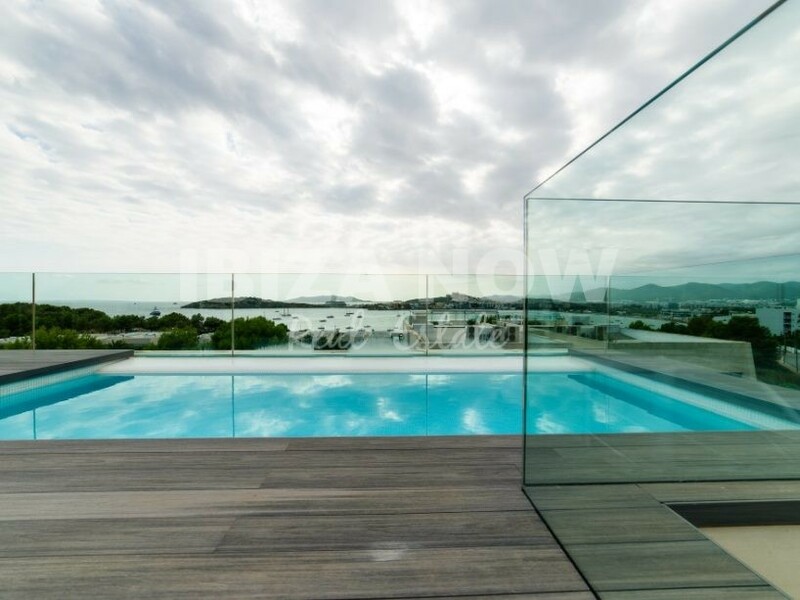 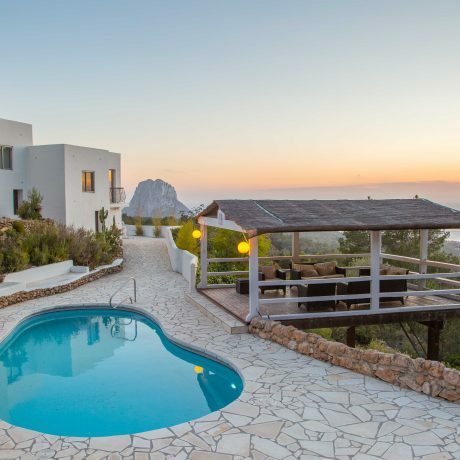 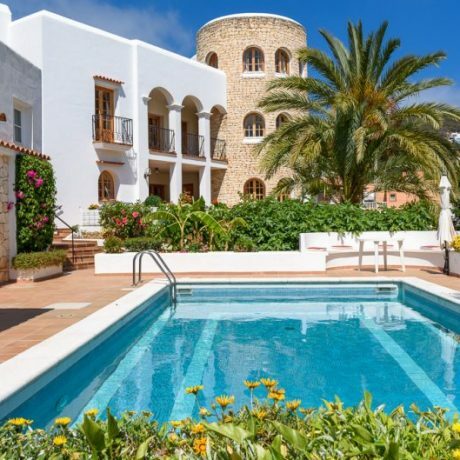 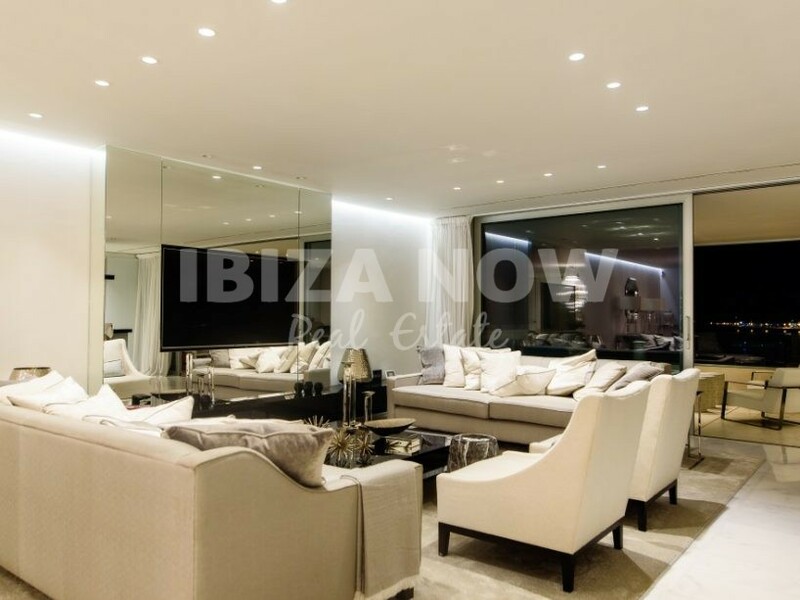 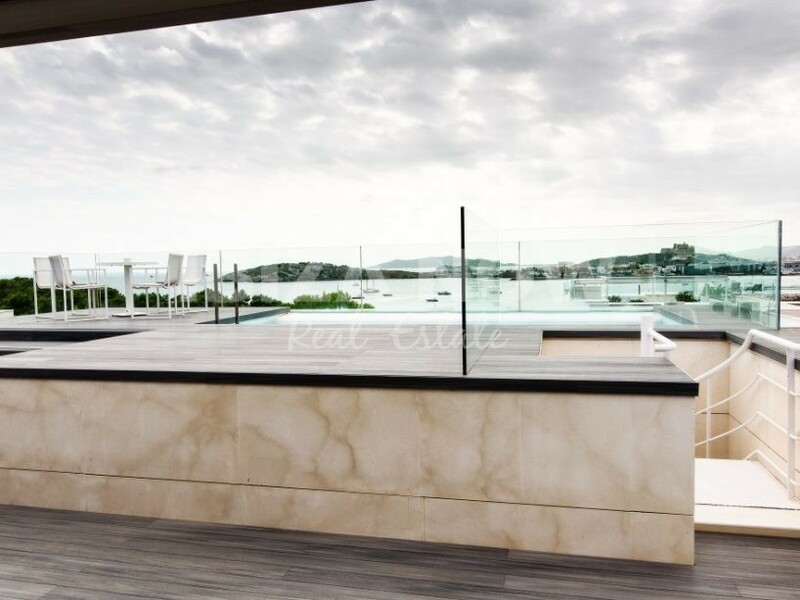 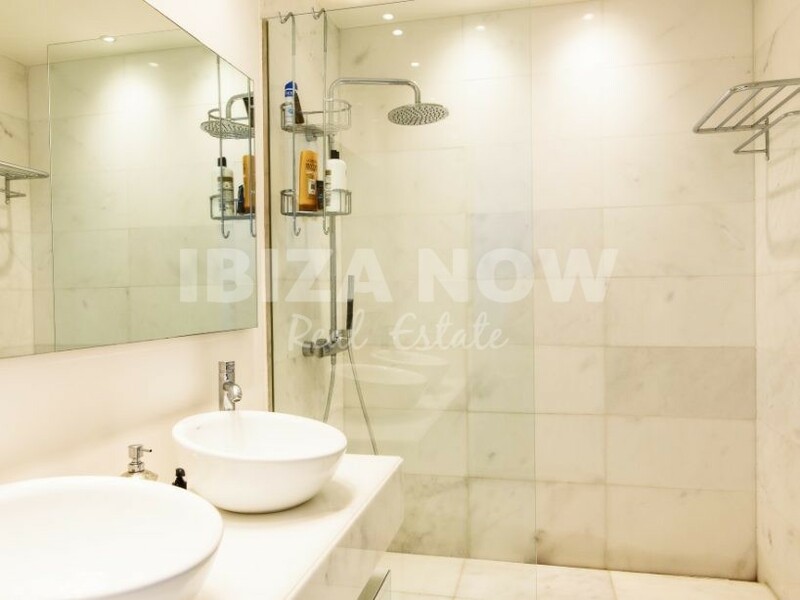 This is by far the most secure private urbanization on the Island and with Ibiza town and the beach of Talamanca within walking distance it is also one of the most desirable locations. 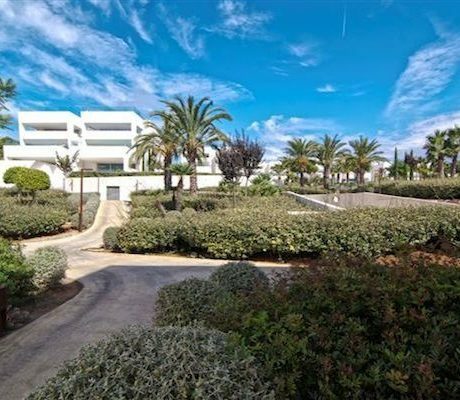 The complex offer 24/7 security, wonderful large green Tropical gardens, a huge communal swimming pool, and kids pool plus a play area. 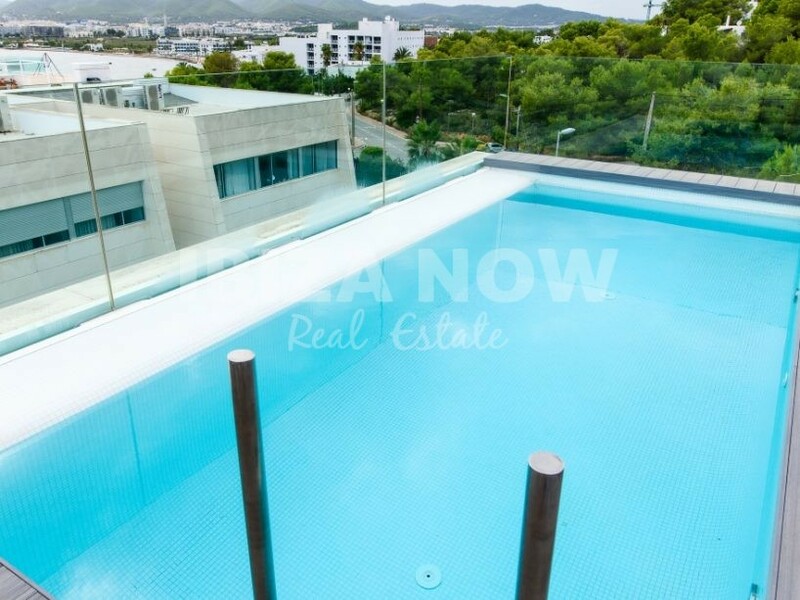 The complex is totally fenced and very child-friendly. 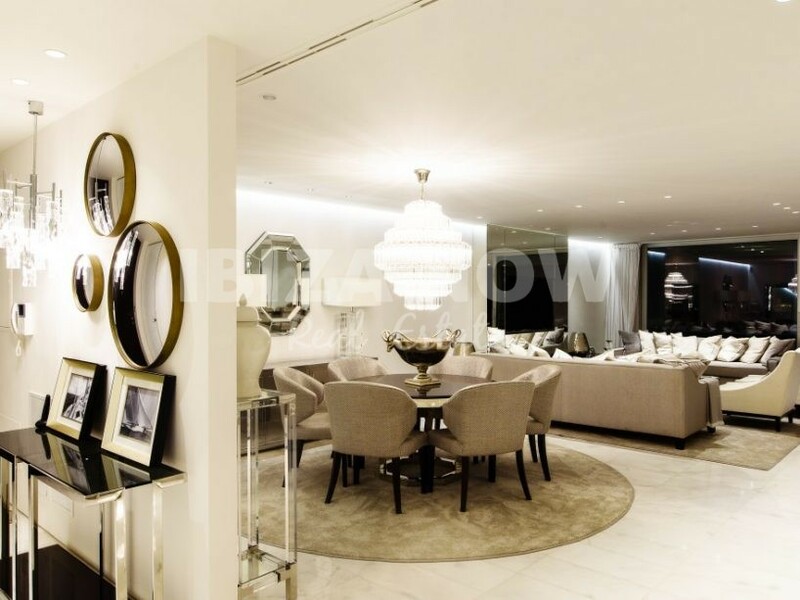 There is a large underground parking with storage spaces. 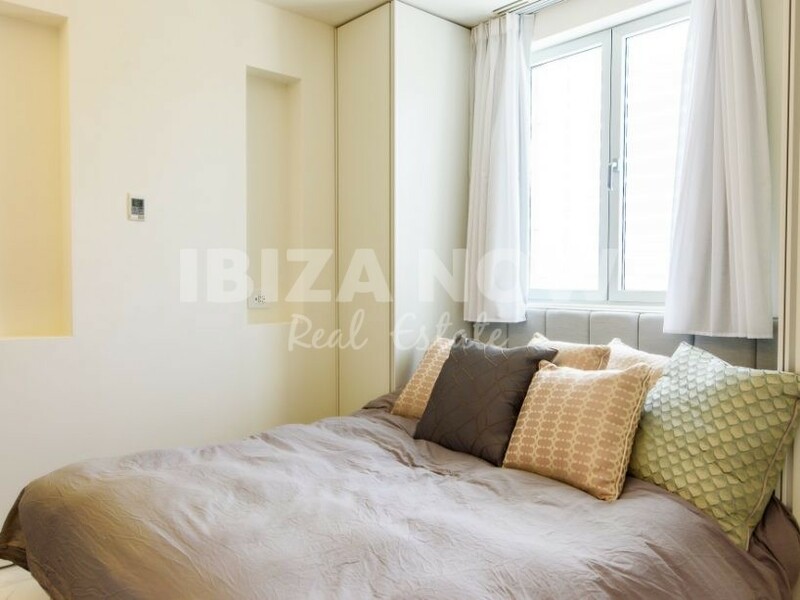 The owners of this apartment have 2 parking spaces and a storage space, equipped with wardrobe, included in the price. 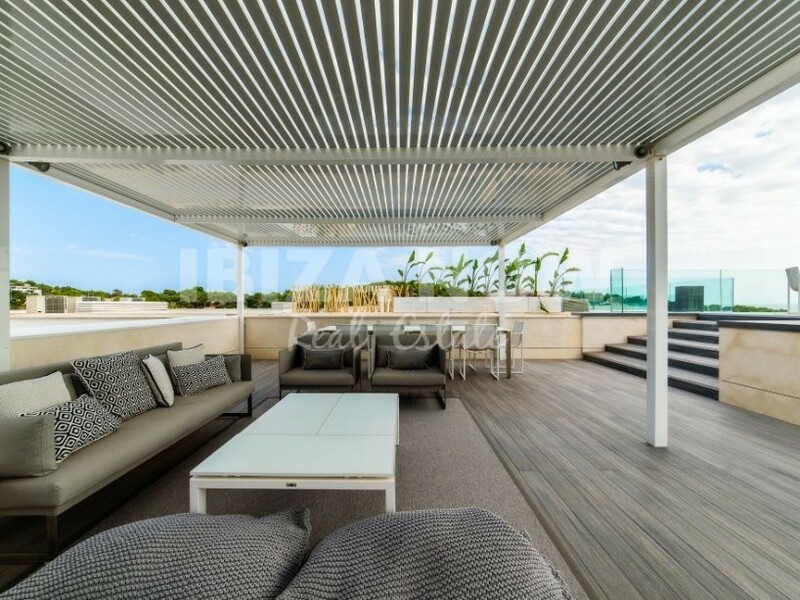 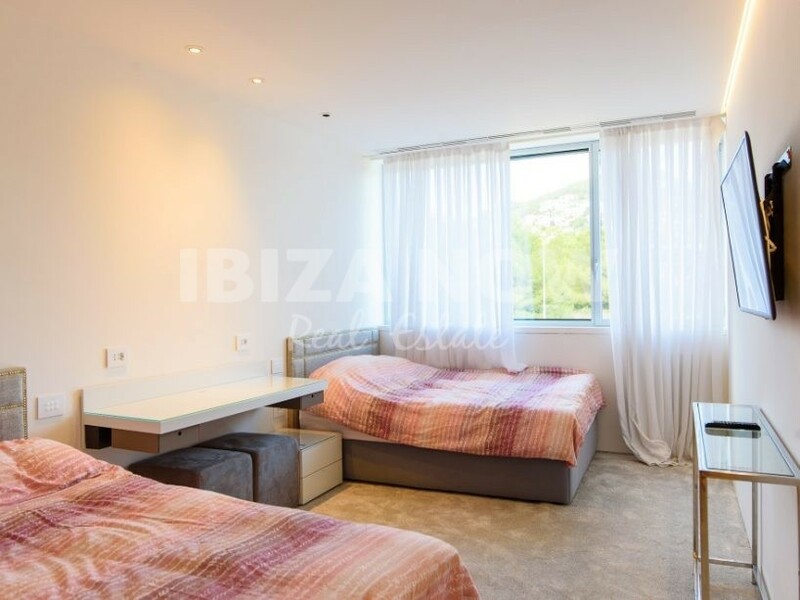 As for the apartment, this offers 4 large bedrooms with ensuite bathrooms, open living and dining area with American style kitchen and a large terrace with amazing views. 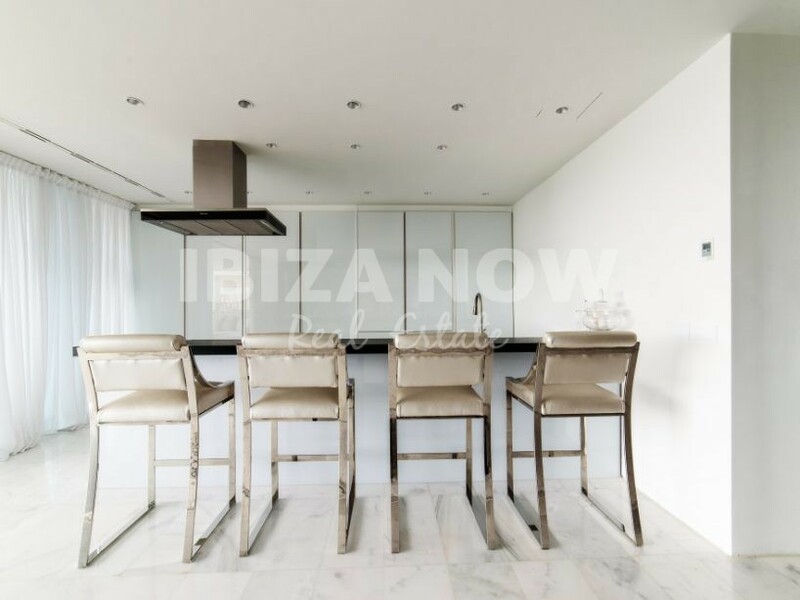 A ready to move in apartment with a brand new Italian kitchen and furnished with great taste.